Since 1979, Sutter Filtration Systems has been the premier provider of water filtration and purification systems, serving Sunrise, FL and the surrounding areas. We also offer monthly maintenance services for your system, repairs and more! Our team is available 24-hours a day, to ensure you always have clean, safe potable water. We tend to think the water that comes out of our taps is clean and safe. Unfortunately, Florida has a long history of falling short when it comes to water treatment standards. From excess iron levels, to water contaminated with microbes, to groundwater with elevated levels of arsenic, any number of issues could be present in your home’s potable water. Sutter Filtration Systems is here to see that they’re addressed fully and completely, so you can have peace of mind when you take a drink. We specialize in water purification system installation in Broward County, FL, bringing expert knowledge of water contamination and proper filtration to every home. Water filtration isn’t a one-size-fits-all solution. That’s why our team goes above and beyond to determine exactly what type of treatment your water needs. From pH balancing to reverse osmosis and myriad other solutions, we’re familiar with them all. We’ll put the right water filtration system installation in Broward County, FL to work in your home. Then, we’ll make sure it’s fully maintained at all times. With month-to-month services, 24-hour repairs and more, you can rely on us always for clean, safe water. Best of all, we have the lowest prices around for water treatment services, making us your unquestioned number one choice when it comes to getting the best water possible in your home. We offer affordable monthly service plans to help keep your filtration system running effectively. Owner Carl Bihler has a degree in chemistry, giving us expert-level insight into the importance of maintaining your water’s pH. We can service homes with municipal water, as well as those that draw from a well source. Our prices are virtually unbeatable! We’ll match any competitor price in writing when it comes to the installation of a new water filtration system. Our business is independently-owned and –operated, proudly serving our local community. 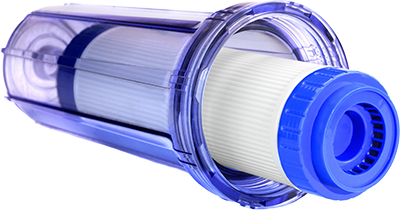 To get the cleanest, purest water possible for your home, contact Sutter Filtration Systems today to learn more about our filtration and purification systems. We have the best prices in town! "Sutter is really the best company in this field in my neighborhood . Carl always treat your clients with professionalism in a simply, prat..."
"Called for service, Carl helped me over the phone. Didn't need to pay for a service call. I am currently not a customer of theirs, but soo..."
May 18, 2017 Karen S.
"I have used them for years and have been very happy with their servicing of our well water." "Great job. Quick and very affordable. Will recommend to everyone."